Steph Curry and Under Armour are paving their own lane in ways we’ve never seen before. Steph’s exploits on the basketball court are well known, and it’s led to awesome business for UA’s upstart basketball brand. In fact, Steph Curry is their entire basketball business with his UA Curry One and UA Curry Two showing that the Baltimore-based sportswear brand can compete with Nike on the hardwood. We’ve never seen a brand release a player’s old signature while his new one is on the shelf though, and that’s exactly what UA is doing. The Curry One Low is still releasing in new colorways, and restocking in old ones with the likes of the white and gold “Championship Pack” hitting retailers once again. This Curry 1 Low “SC 30 Camp” exclusive won’t be as exclusive much longer either, as Foot Locker will be stocking it this Friday, December 18th at select locations. 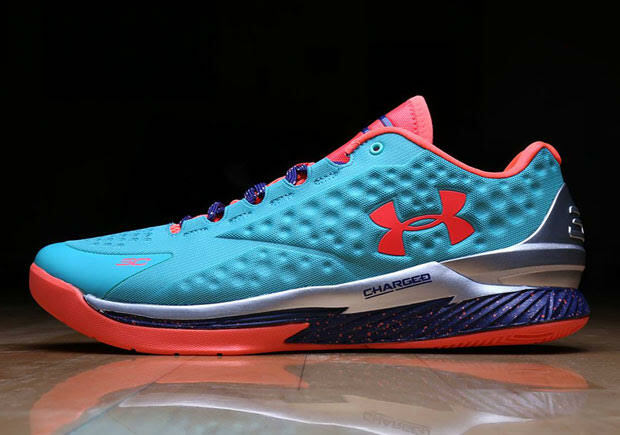 Find if a shop near you will have this Under Armour Curry One Low through Foot Locker’s Launch Locator.